Summary: New findings about how the brain processes information in verbal working memory could have implications for the development of new AI systems, researchers report. The neural structure we use to store and process information in verbal working memory is more complex than previously understood, finds a new study by researchers at New York University. 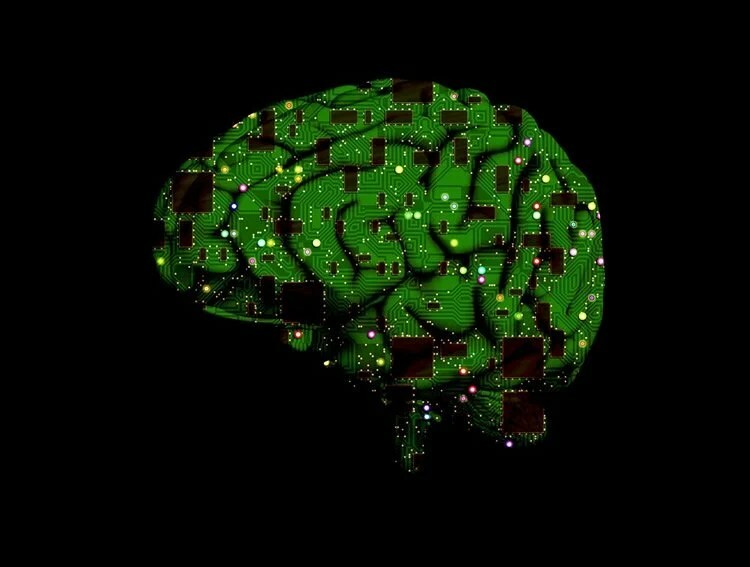 It shows that processing information in working memory involves two different networks in the brain rather than one—a discovery that has implications for the creation of artificial intelligence (AI) systems, such as speech translation tools. “Our results show there are at least two brain networks that are active when we are manipulating speech and language information in our minds,” explains Bijan Pesaran, an associate professor at New York University’s Center for Neural Science and the senior author of the research. Past studies had emphasized how a single “Central Executive” oversaw manipulations of information stored in working memory. The distinction is an important one, Pesaran observes, because current AI systems that replicate human speech typically assume computations involved in verbal working memory are performed by a single neural network. The paper’s first author was Greg Cogan, an NYU postdoctoral fellow at the time of the study and now a postdoctoral fellow at Duke University; other co-authors were Professor Orrin Devinsky, director of the Comprehensive Epilepsy Center at NYU Langone Medical Center, Werner Doyle, an associate professor at NYU Langone’s Department of Neurosurgery, Dan Friedman, an associate professor at NYU Langone’s Department of Neurology, and Lucia Melloni, an assistant professor at NYU Langone’s Department of Neurology. The researchers examined human patients undergoing brain monitoring to treat drug-resistant epilepsy. Specifically, they decoded neural activity recorded from the surface of the brain of these patients as they were listening to speech sounds and speaking after a short delay. This method required the study’s subjects to use a rule provided by the researchers to transform speech sounds they heard into different spoken utterances—for example, the patients were told to repeat the same sound they had heard while at other times the researchers instructed the patients to listen to the sound and make a different utterance. Past studies had emphasized how a single “Central Executive” oversaw manipulations of information stored in working memory. The distinction is an important one, Pesaran observes, because current AI systems that replicate human speech typically assume computations involved in verbal working memory are performed by a single neural network. NeuroscienceNews.com image is for illustrative purposes only. The researchers decoded the neural activity in each patient’s brain as the patients applied the rule to convert what they heard into what they needed to say. The results revealed that manipulating information held in working memory involved the operation of two brain networks. One network encoded the rule that the patients were using to guide the utterances they made (the rule network). Surprisingly, however, the rule network did not encode the details of how the subjects converted what they heard into what they said. The process of using the rule to transform the sounds into speech was handled by a second, transformation network. Activity in this network could be used to track how the input (what was heard) was being converted into the output (what was spoken) moment-by-moment. Funding: This work was supported, in part, by the National Institute on Deafness and Other Communication Disorders, part of the National Institutes of Health (R03-DC010475), and the Simons Collaboration for the Global Brain. Original Research: The study will appear in Nature Neuroscience during the week of December 12 2016. NYU. “Discovery of New Verbal Working Memory Architecture Has Implications for Artificial Intelligence.” NeuroscienceNews. NeuroscienceNews, 12 December 2016. NYU. “Discovery of New Verbal Working Memory Architecture Has Implications for Artificial Intelligence.” http://neurosciencenews.com/ai-verbal-working-memory-5724/ (accessed December 12, 2016). The Singularity subReddit referred me here to this article which is fascinating for me because I have formulated a Linguistic Theory of Mind for my work in Artificial Intelligence.